On Sunday (and thereafter), I asked what Northwest Flight 253 Islamic terrorist Umar Farouk Abdulmutallab was doing in Houston in August 2008. I surmised that he probably went to some extremist mosques (redundant), and that the reactive FBI was probably all over Houston, now, trying to do the investigative work the agency should have done before the guy loaded up his undies. And now we find out some of the details. You can bet this outfit is extremist. Might even have helped him out and had some tight connections with his Qaeda buddies in Yemen. I’ve checked out the school, the AlMaghrib Institute, and it’s clearly extremist–pure Sunni extremism and hate. For those unfamiliar with the niceties (or, more appropriately, the not-niceties) of Islam, Maghrib (also Magreb) is the sunset prayer in Islam, the fourth out of five prayers in the day for Muslims. The name is ripped off from Judaism’s evening prayer, said after nightfall, Ma’ariv. It is tied to the Islamic Society of North America, the extremist organization that Bush administration members visited and spoke to (remember Karen Hughes?). In case you forgot, like CAIR, ISNA was also an unindicted co-conspirator in funding HAMAS terrorism, as noted in the Holy Land Foundation trial. The AlMaghrib site notes that its students “sponsored 96 orphans” a/k/a the children of terrorists (“martyrs”). Or sometimes there aren’t even those, and it’s just a straight out front funding terrorism. In this case, you can bet on that, since they sponsored the “orphans” through Islamic Relief, a HAMAS/Al-Qaeda charity, which I’ve written about and the fundraisers for which I’ve infiltrated undercover. 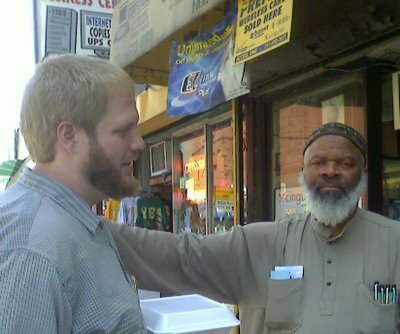 Among its instructors is Suhaib Webb, an Oklahoma born White guy who converted to Islam, who studied in Egypt at Al-Azhar University a/k/a Kill the Jews and the Americans U. Webb is tight with Siraj Wahhaj, the unindicted co-conspirator in the 1993 Al-Qaeda World Trade Center bombing, and has given Wahaj a testimonial for fundraising purposes. Webb is also an instructor for another online Islamic “school,” Islamic American Universal (based in the Detroit area), which was previously headed by Muslim Brotherhood spiritual leader, Yusuf Al-Qaradawi. Sources have told me over the years that Webb was a skinhead before he became a Muslim–same difference. I’ve heard Webb speak at an Islamic Ramadan Iftar dinner I attended undercover in Dearbornistan, and the guy is frightening. The man accused of trying to bring down a Detroit-bound U.S. airliner on Christmas Day spent two weeks in Houston last year attending a seminar conducted by a Web-based Islamic education center. Waleed Basyouni is the vice president of the AlMaghrib (ahl-MAHG’-rihb) Institute. He says Umar Farouk Abdulmutallab (OO’-mahr fah-ROOK’ ahb-DOOL’-moo-TAH’-lahb) registered online in April 2008, then attended a two-week program hosted by the institute in Houston in August 2008. He says school records show Abdulmutallab identified himself as a 21-year-old Nigerian student at University College London and the London School of Economics who was studying mechanical engineering and business finance. Basyouni says the institute is working with the authorities on the case. Yeah, sure they are . . . now. And watch them challenge warrants and lawyer up so they don’t have to answer questions about what they knew and when they knew it. Suhaib Webb (left) w/ ’93 WTC Co-Conspirator Siraj Wahhaj: Was He Umar Abdulmutallab’s Teacher? Who did Abdulmutallab meet while he was “studying” (jihad) at this “school”? And who were his instructors? I wouldn’t be surprised if Webb was one of them and further radicalized him. And we’re learning this just now. Had the government gumshoes done their homework in the first place, Abdulmuttalab would NEVER have been issued a visa! I would like to see a copy of the visa application. Can anyone provide that? LOL. Get a life Debbie. Better yet, get some FACTS. That’s the least you can do! She has provided plenty of information. 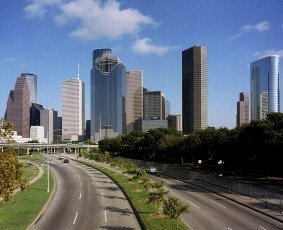 Do you think Umar went all the way to Houston for a two week course? Are you disappointed that Umar did not kill all of those people on that jet? You seem to think all of this is a joke. Don’t worry, Debbie, the FBI will be on this in a flash, . . . as soon as the trail is cold enough that it doesn’t challenge their limited abilities. You should be heading up the FBI! Very interesting bits of info. I’m quite certain both the FBI and Janet Napolean, Napolini, Napolisano, you know, Janet what’s-her-name at DHS is all over this! Lebo, you’re half right… The Feebs love to point out that they are the lead on T investigations… Even if DHS had an investigation into the underwear bomber, the feebs would have taken it over and run it into the ground, just like GreenQuest. If they can’t get the press, no one will!!! Thanks Debbie for the info – The map alone is a shocker! Too bad Islamic (or leftist) trolls comment here with such disrepect and ignorance. But they are just displaying who and what they are. The trolls, like the hateful muslims they love, are everywhere. Get a chl. We should lock these filthy bombers into the sewers and make them fight each other for rat meat. 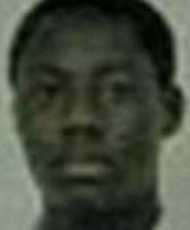 Our special operatives should find out what other imams and terrorist organizations in the world Abdulmutallab associated with and take them out, in secret. But only after they extract all vital intel out of them in some clandestine place nowhere close to the U.S.
It’s too bad we can’t have a “Catch and Kill” policy for ALL terrorists and enemy combatants. Someone would have to authorize this, and with the current administration, you know it would be worldwide news within a 24 hour news cycle. That map is like ice water in the face. We are in trouble. Especially with the p.c. crap this country is living with. It’s like a terminator movie. Great. So now Robert Ferrigno’s books are coming true. That map makes me physically ill.
Our current Administration is linked to the Islamic Association of North America. Their President, Ingrid Matt son, was involved in the Presidential Inauguration. Unfortunately, as Debbie likes to point out, this was not an ABM original creation. Bush was involved with them also. Now I think I know why some groups were _indicted_ co-conspirators. To indict them would lead to some very embarrassing revelations. By “ABM” in my comment above I mean Obama, as in “… this was not an Obama original creation”. Unfortunately my browser froze up on me. They’ve been at this since long before 9/11. I caught them at it after the placentinian rats started their last intifada in 2000, a year before 9/11. I began looking at mussie web sites, and noticed they were ALL into jihad. I also noticed that many were making contact with local, state and federal government and law enforcement, developing a relationship. I thought that after 9/11 that those agencies would distance themselves from these parasites, but no, they got even closer. That’s when I realized this is they way they work. It’s just part of their good-muslim-bad-muslim game of death. They have the bad guys attack, and the “good” guys make nice in order to thwart a response to the bad, and to otherwise weaken the potential host. Repeated attacks confuse the victim, and soften it up, while the “moderates” gain his confidence and get him to do things that will ultimately bring about his downfall. 9 years on, and it seems to be working. But what does one expect, when they have had 1300 years to develop their psi-ops? The most radical Muslim indoctrination occurs in the West. The Abdulmuttalabs of the world don’t grow up to be violent jihadists in their own lands. We show them the way to hate us and kill us. And we do absolutely nothing about the hate propagated in our midst. Hmmmm looking at my post on JW I can see that my sarcasm might have gone unnoticed. When I said they were fighting radicalism, I meant they were fighting, anti-Jihadists, who to them, are the radicals. I appreciate the information and facts you present, but don’t belittle your writing with sly remarks attempting to destabilize 1 billion people. Most of your commentary and “jokes” are offensive to the educated, please stay professional and classy, for thats the only path towards respect. Otherwise thank you for your insight. I didn’t know that one billion Muslims read her blog. Also, your Islamist friends are more than capable of destablizing the world without Ms. Schlussel. Finally, what do you mean by a “sly” remark? Do you mean criticizing Islam and Muslims for their practices and comments? Sorry, honor kilings, mob attacks on other faiths, as well as other Moslems practices will come in for scrutiny. There is nothing hidden here. Debbie tried to lighten a rather bleak atmosphere with some humor. Also, an educated person is not thin skinned, but a reactionary troglodyte is. Islam has never had trouble being offensive to others, and this is not limited to referring to Jews as pigs and apes. If you want to see truly offensive and destablizing things, go to any of number of Islamist websites. What they have on now is nothing compared to what was on them prior to 9/11. They were very open about what they wanted to accomplish. And there are people, like Daniel Pipes for one, who I know have this information, yet aren’t putting it together and publishing it for people to see. That is truly a shame. The reference to evening prayers is not wrong, but there is more to it. Magreb in Arabic is “(to) the West”–meaning west of Mecca,it is used generally to refer to the North African countries converted to Islam, generally by force, and, at one time, to Spain and to France before the Battle of Tours. Masreq is “(to) the East” and is where the British pulled the name “Iraq” from. The name of the school implies a desire to convert our country to Islam. I don’t understand what makes you an expert on Islam. Because you graduated from the University of Michigan and have a JD? Because you write a column? I’m more worried about the young Mormon boys who skip out on college for the chance to come to MY door telling ME I’m going to hell while they don’t know ANYTHING about my religion or their own for that matter. The only people in this country interested in mass conversions are conservative Christians. They’re the ones knocking on our doors, preaching on street corners about the hellfires that will consume us all, and the ones who go on The Factor and profess that the problems of the middle-east will be solved by forcing everyone to convert to Christianity (I’m talking to you, Ann Coulter!). Like that has worked in the past. The problem here are people who don’t know anything about Islam or its followers, and dedicate ill-informed blogs to the topic. It’s one thing to want to educate people about a topic you know nothing about; it’s another to try to incite mass paranoia and hatred among the ignorant masses. I’m sorry, Debbie, that the fortune you’ve spent on your education has gone to waste. Maybe that money should have been invested in getting you a mental health specialist to deal with your paranoid schizophrenia. Please be specific, what points that Debbie makes about Islam (specifically) are NOT accurate? She has read the Quran (in Arabic), and it’s hadiths. Please let us know what facts are wrong so those of us who can read, may go to your sources and see where she is wrong. You insinuate that YOU ARE in fact an expert in ISLAM (if NOT you couldn’t possibly expect anyone to take your post seriously). So please give us some backround on your own Islamic education, and what it is that makes you and expert.